November 1, 2018 - No Comments! 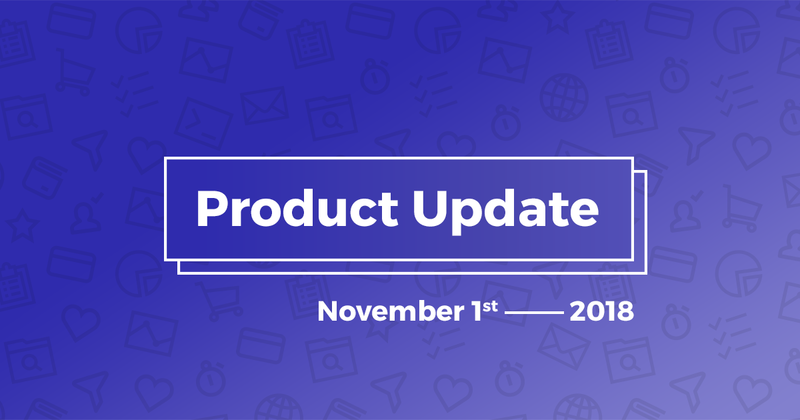 We’ re announcing new features, major upgrades and also minor bug fixes and UI improvements. In the Milestone Rewards of a Shopify Campaign, Shopify users were able to upload reward images only for “Free Product” rewards. Now they can upload an image for every type of reward, even if it’s a discount reward. 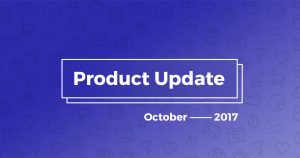 This fixes issues our customers have had in the past where they didn’t receive the export email. The export CSV now sends an email to the user’s email address with a link to download the CSV file. The file is no longer getting attached to the email. 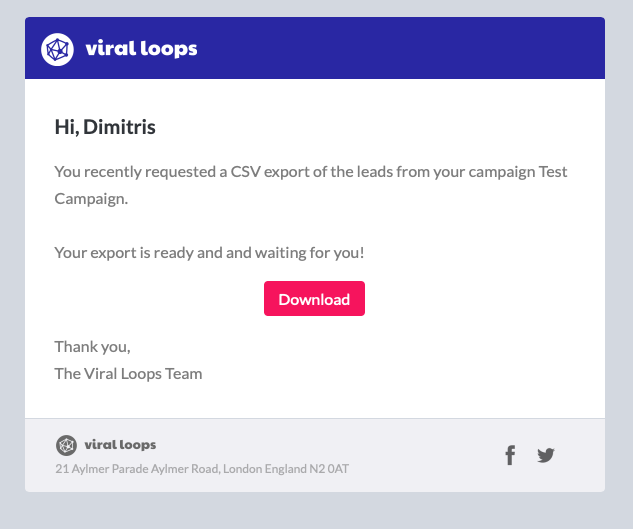 For those of you that use the Viral Loops story for Shopify, The Referral Page is now a dedicated page in a Shopify store. It is created automatically when the app is installed, so it looks just like any other page in the store. 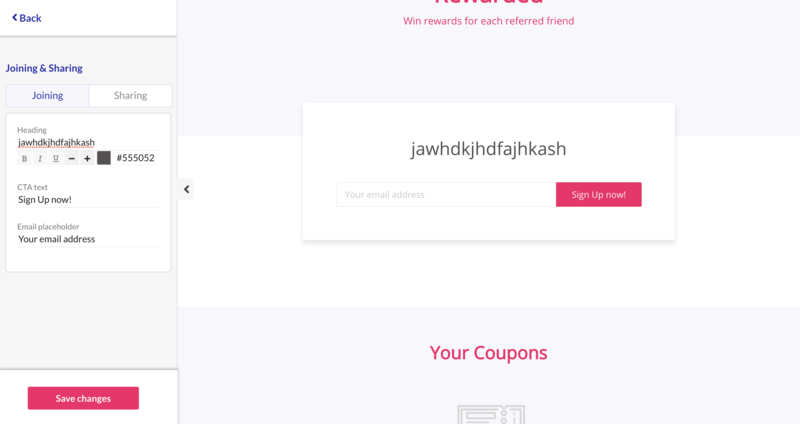 In the Referral Page, the store's customers can join the campaign and see their sharing options, coupons won etc. 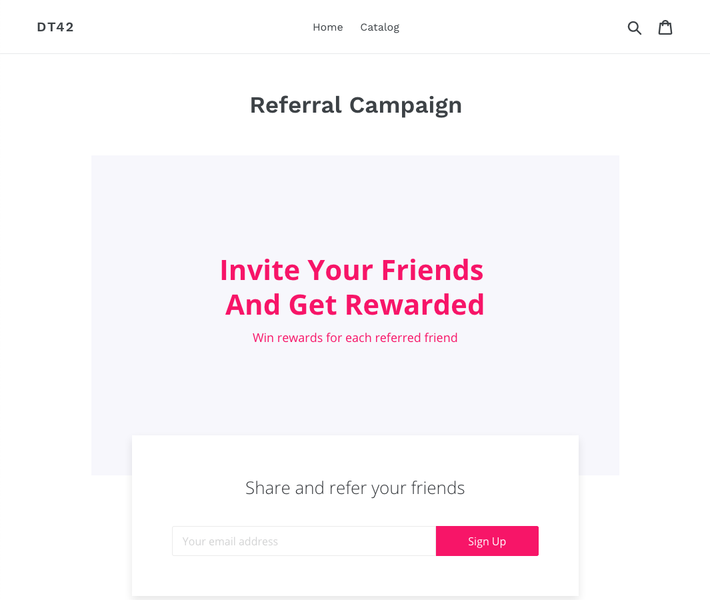 Shopify users can edit the Referral Page from the editor in the Campaign Wizard. They have to edit the Joining and the Sharing states of the page by selecting the relevant buttons in the sidebar. 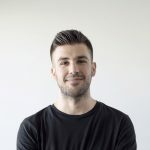 This fix makes the button on the Shopify widget stay disabled until the customer adds a valid email address.